« Has anyone seen the overwater bungalows in Jamaica and Mexico? 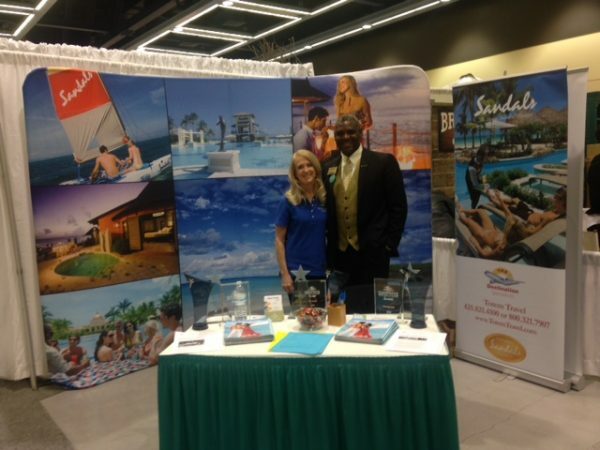 For more than a decade Sandals Resorts has named Totem Travel in Seattle a top travel agency. In 2016 Totem Travel was again honored as Best of the Best and the agency continues as the Pacific Northwest’s only member of Sandals’ prestigious Chairman’s Royal Club. Owner Linda Martindell was awarded a Sandals lifetime achievement award and both Linda and Patty are Platinum Level Preferred Sandals Specialists. In 2016 Linda also became a Sandals Wedding Specialist. So what does this mean to guests planning a Sandals honeymoon, destination wedding or adult only all inclusive vacation? You can get expert advice, personal service and Sandals’ lowest price from a travel agent that has been to every one of the Sandals and Beaches Resorts. If you are planning an all inclusive vacation, need help deciding which Sandals Resort is best, have questions about a destination wedding or family reunion group, are not sure if butler service is worth the extra cost or what activities can be found on each of the 8 Caribbean islands we hope you’ll call, request a quote or email and allow a Sandals Specialist to help. We offer all the specials and deals you see online and provide personal service at no extra cost.